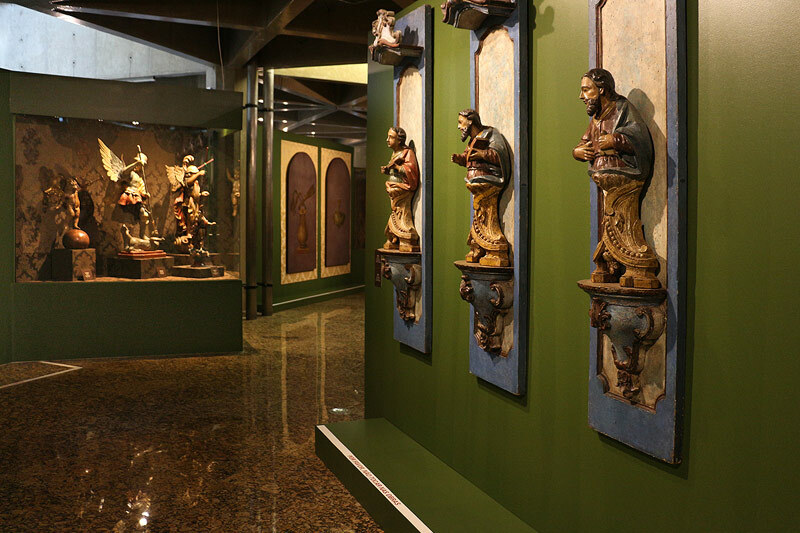 Sesc Santos, in partnership with Museu Afro Brasil, an institution of the Secretary of Culture of the State of São Paulo, opened in march 28 the exposition “Barroco Ardente e Sincrético – Luso-Afro-Brasileiro” (Baroque Ardent and Syncretic – Luso-Afro-Brazilian). The exhibit showcases about 200 pieces, and maps a miryad of manifestations of the style in Portugal and in Brazil, emphasizing it´s expressions in a country of several mixed races. Curated by Emanoel Araújo, the exposition takes the visitor to the Baroque´s spirit, showing it´s references in the scholar and popular cultures. “Barroco Ardente e Sincrético – Luso-Afro-Brasileiro” proposes a visit to the works from 17th to early 19th century, approaching contributions from the most expressive artists of the brazilian baroque, Antônio Francisco Lisboa, the Aleijadinho (1730-1814), in Ouro Preto (Minas Gerais State), and Mestre Valentim da Fonseca e Silva (1745-1813), in Rio de Janeiro. 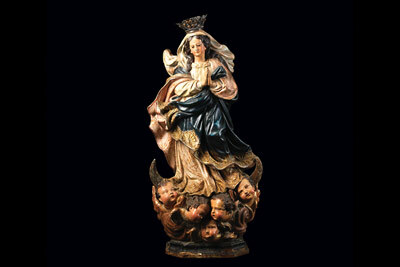 The sculptor Xavier de Brito (?-1751), Aleijadinho´s professor, as well as religious pieces from Portugal and works of anonymous artists, being part of the baroque´s syncretic strand, also take part in the exhibit, which remains at Sesc Santos till july 1st, with free entrance and access to all. 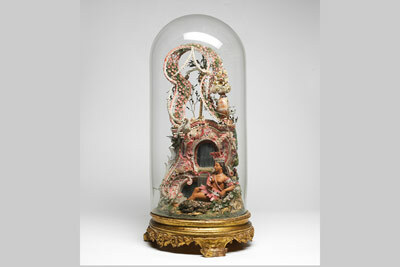 “I call ardent the question of the tropicality of the Baroque, invoking the woodwork and the afrodescendents mechanic. It is syncretic, too, regarding this strand that includes the profane aspect fo the religious ceremonies, as seen in the “Bumba-meu-boi” in Maranhão, which celebrates the day of Saint John, the “Cavalhada” at Pirenópolis, Goiás, the “Reisados” in Alagoas, and the “Maracatu” processions in Pernambuco. The Baroque, for me, is an endless movement. It is continuous, in the Brazilian culture. 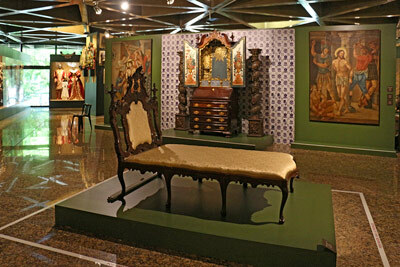 It came from Portugal, but finds here the ideal landscape for the construction of its dentity”, says Araújo, Museu Afro-Brasil´s director-curator. The visitor also gets to see paintings from José Joaquim da Rocha (1737-1807), José Patrício da Silva Manso (1753-1801) and Frei Jesuíno do Monte Carmelo (1764-1819) . 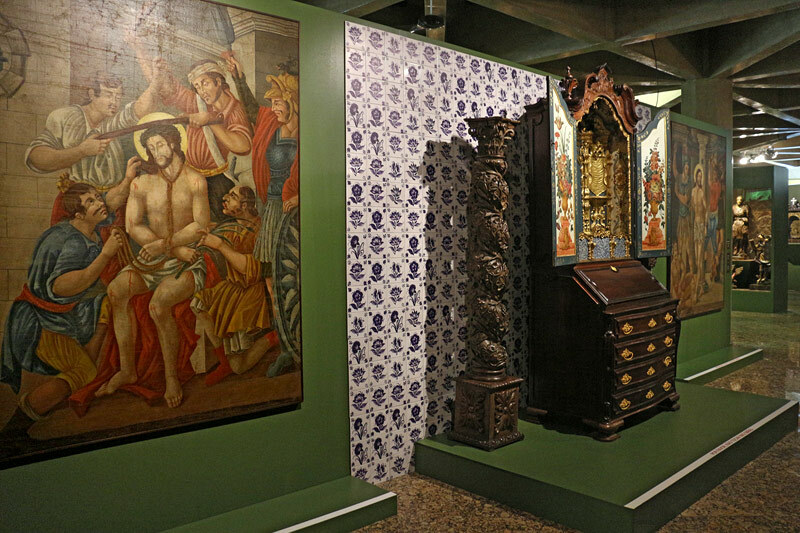 Other artifacts from this historic period (oratories, carvings, tiles, goldsmith´s works, silverware, porcelain tile) are also incorporated to the Baroque spirit´s crossing, all this in a dialogue with the poetry of Manuel Botelho de Oliveira (1636-1711), Frei Manuel de Santa Maria (1704-1768) and Gregório de Matos (1636-1696), all of them from Bahia. The exposition is musicaly ambiented with works from the most relevant brazilian religious composers, as José Maurício Nunes Garcia (1767-1830), José Joaquim Emerico Lobo de Mesquita (1746-1805), Damião Barbosa de Araújo (1778-1856) and Domingos Caldas Barbosa (1739-1800). According to Emanoel Araújo, this multifaceted Baroque showcases the strength of the Portuguese contribution, but highlights “the mixed tropical attitude from Africa and Brazil”, from the sacred to the profane. “The Africans and their descendents, with a massive presence in Brazil, took possession of the Baroque, overall because of the mechanic work corporations absorbing this slave labor force and contribute to the social ascension of the Black people”, explains the curator. 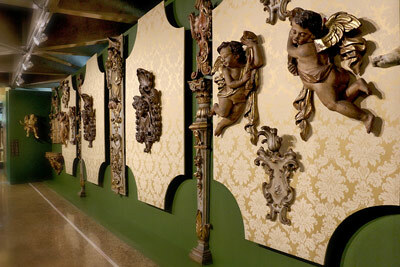 “This exposition is shaped in a scenography that involves different aspects of the baroque art. From tilery to the Bahia´s internal churches walls, photographed by Sílvio Robatto in the “Barroco Rebolado” series, in which he visualizes the sensuality of the angels carvings and of the mephistofelians figures”, says Emanoel Araújo. 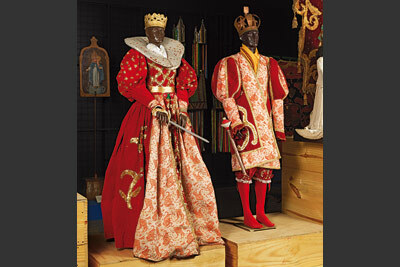 The exposition shows some of the profane festivities that appears with the advent of the Baroque: the “Cavalhadas” in Goiás, the struggle between moors and christians, the “Maracatu”, the “Rei de Congo” and the “Bumba-meu-boi” in Maranhão.